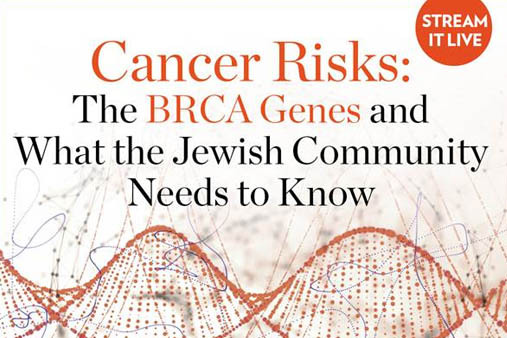 Our very own Dr. Miriam Levy along with leading genetics researcher, Dr. Kenneth Offit, will discuss the risks of cancers affecting the Jewish community, new options for genetic testing and medical management. You will also hear from writer, Letty Cottin, and Dr. Michael Bergstein about their personal experiences with breast and prostate cancer. Breast cancer survivor, Rabbi Lisa Gelber, will moderate.